I had every intention of linking up with Angie and Ashley for this linky early, but what can I say...Spring Break happened and I've been a bit MIA! 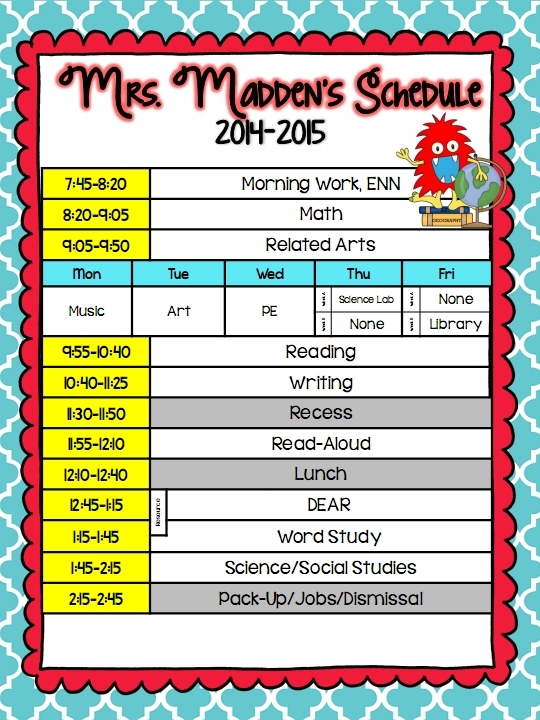 :) After a bit of relaxation, I'm back in school mode and am finally linking up to explain my daily schedule. Before showing off my schedule, I will say that I do not use any textbooks in my classroom. I create 90% of my own teaching materials and supplement those with other resources from TpT. I've been lucky enough to remain in the same grade for 18 years and have found the style and strategies that work for me and my students. This allows me to take attendance, count lunch choices, receipt payments, etc. We have a 45 minute math block. We kick off this block with fluency practice that you can read about in this blog post. Our math block can look very different depending on the unit, but it's possible to see whole-group instruction, math rotations, small group instruction, and/or math centers. 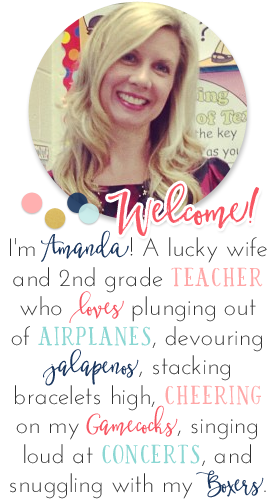 I struggled for years with math centers, so my big project this year as creating sets of math centers for each of my units with the following goals - 1) meet all standards in the unit, 2) offer differentiation for higher level learners, and 3) enough centers for all students to focus on the skills at hand. These centers have been a lifesaver during my math block this year! My students go to "specials" during this block 4 days of the week. I have grade level meetings on Tuesdays, so that leaves me with three 45-minute planning blocks each week. On the days that I don't have planning, I try to do Author Studies projects with my kiddos. Our 45-minute reading block is my favorite! 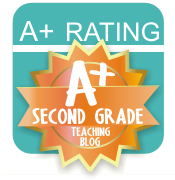 You can read about how we spend the first few minutes to build fluency and comprehension HERE. My reading instruction is centered around genre studies. By teaching through genre studies, I'm able to build a passion and excitement for literature while having each student reading at his/her own level within the same genre. This creates a strong sense of a reading community in our classroom and I love every bit of it! If you were to glance in our classroom during this time, it would look very different from genre to genre. During mysteries, students would be reading in detective duos while I pull small groups; during our non-fiction studies, students would be working more independently to become "experts" on topics that interest them; during folktales there would be a mixture of whole-group instruction with readers' theatre groups as a follow-up. I get this question a lot, but the one thing I don't utilize daily is literacy centers. In my experience, I've found that my students benefit more from direct-instruction or actual reading experiences than most center work during this time. I do use them occasionally for specific skill practice, but just not as a daily routine. 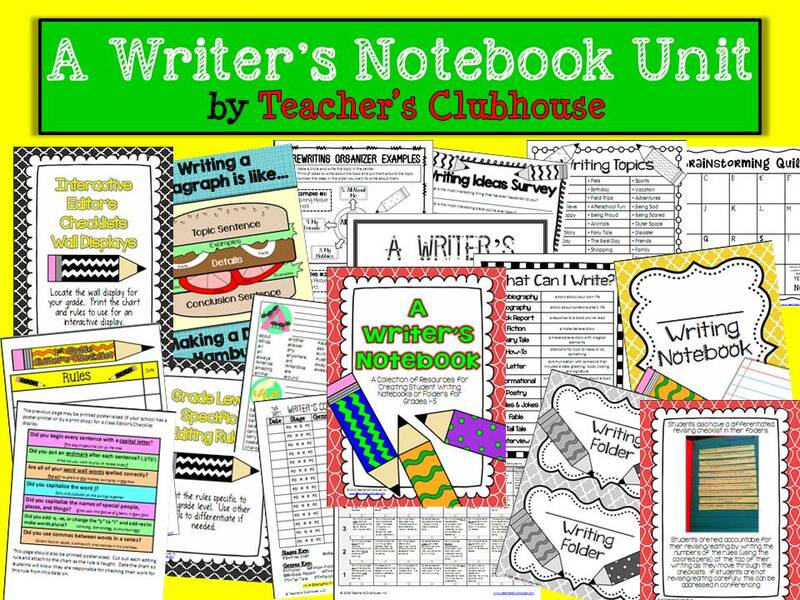 I'm a HUGE writer's workshop girl! This block has a 10-15 minute mini-lesson from me, then a 20-25 minute writing time for students, and a 5-minute sharing time at the end. My writing is also set up in genres. I think it's extremely important to teach students HOW to write many different genres. However, each day, they also have time for "their" writing. There's nothing more rewarding than seeing all of their creative ideas evolve into amazing stories! You can read more about how my writing notebooks are set up HERE. We take our own classes out for recess. No recess aides here! My absolute FAVORITE time of the day! During our read-aloud block, I expose students to chapter books and author studies. We usually read one chapter book per month (that takes about 2 weeks) and then the remaining days of the month (about 2 weeks) we'll read books from a specific author and learn about his/her "fingerprints." You can download my free Author Study posters HERE. We take our own classes to lunch during this time. This is our DEAR (Drop Everything And Read) block. It's so nice to come back from lunch and have everyone settle in for independent reading. We have a rotation of "cozy spots" in my classroom each day so that every single student has a spot to curl up with a book and just ENJOY reading. Our school does Accelerated Reader, so students may also be seen taking AR tests on computers and iPads during this time. I will be found conferencing with readers about what they're currently reading or tests they've recently taken during this time - another favorite time of the day! I LOVE finding out what kinds of books they're loving! This is our Word Study block. 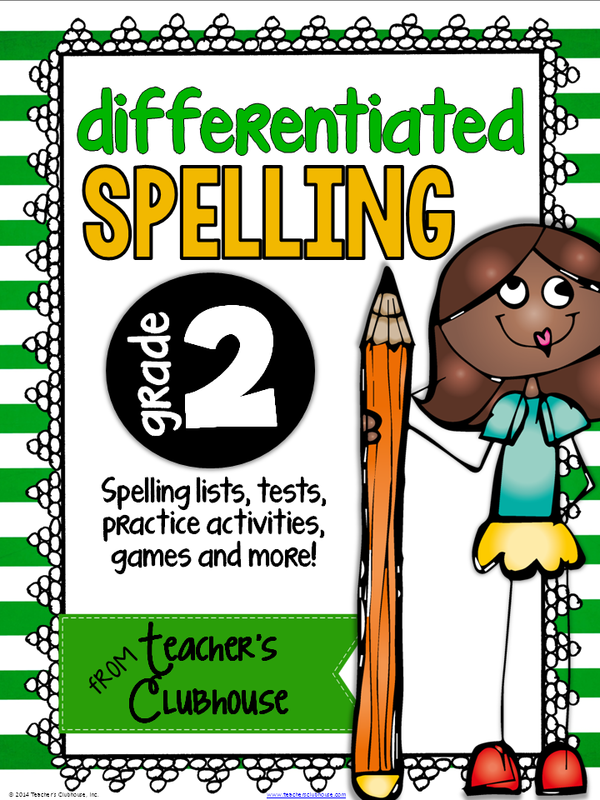 I use a Differentiated Reading program in my classroom so we can be found working on those pattern words during this block and also grammar skills (think nouns, verbs, contractions, etc). We end our day with our Science/Social Studies block. We "flip" these two subjects so we're either doing one or the other - never both. Our school day officially ends at 2:30, but they call for bus riders around 2:20 so we begin packing up and doing classroom jobs around 2:15. We usually still have children in our rooms until around 3:00 - that makes for a LONG dismissal, so I let my students play learning games, begin on homework, etc during this time. I hope that gives you a peek at our day in our classroom! 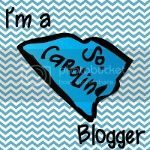 LOVE your post Amanda!! And I am SO so jealous that you've gotten to be in the same grade for so many years. I'm hoping that eventually that will be me and I can finally feel like I've found a GROOVE with the schedule and materials that I use! Thanks so much for joining us for our linky!! Amanda! Your posts always leave me learning something new and this one is no exception! 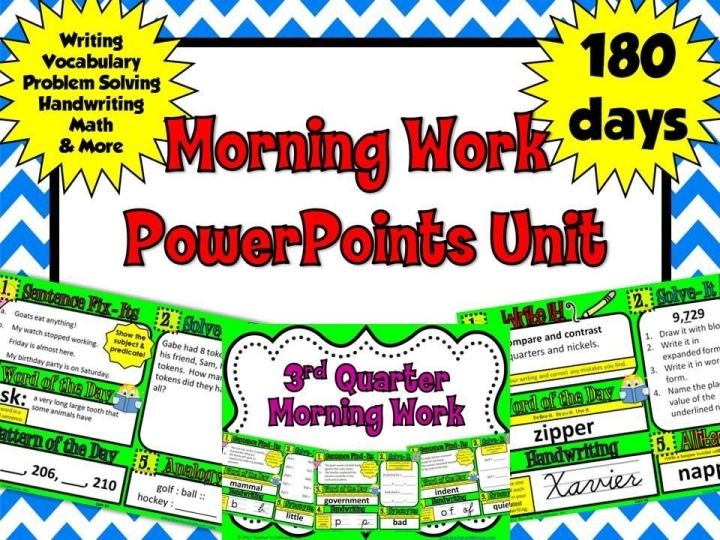 I already own your spelling bundle and I have added the morning work (love that it is a powerpoint) to my wishlist! I am thinking it will be a MUST to add an extra spiral notebook to their school supply list for next year's morning work notebook! Thanks for joining us for our linky! I love the look of your monthly calendars! Is there a template you used or did you make them yourself? I'd love to create some for myself next year! Which monthly calendars are your referring to?